The sport of Mondio Ring has a different and unfamiliar retrieve item at every trial. 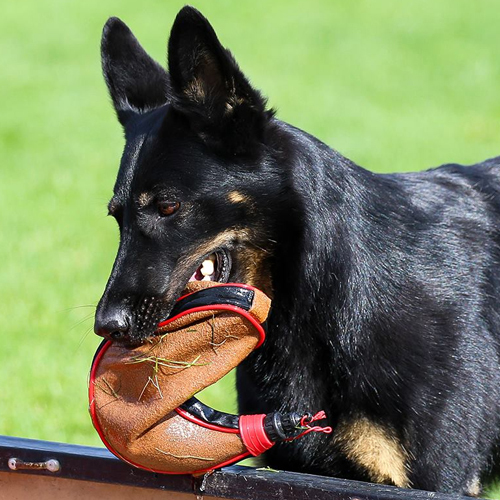 Teaching dogs to be confident picking up, carrying, returning, holding, and releasing any item is a useful skill whether you are in a dumbbell retrieve sport or simply want your dog to bring you your keys, wallet, and remote control. The skills used to train the Mondio Ring retrieve can help you reach your retrieving goals. This four hour session will work on motivating dogs for a snappy and eager pick-up, a direct return, and a steady hold with different items. Attendees will learn how to break down this exercise into several smaller, manageable steps that can be worked on separately, and how to put the pieces back together again.